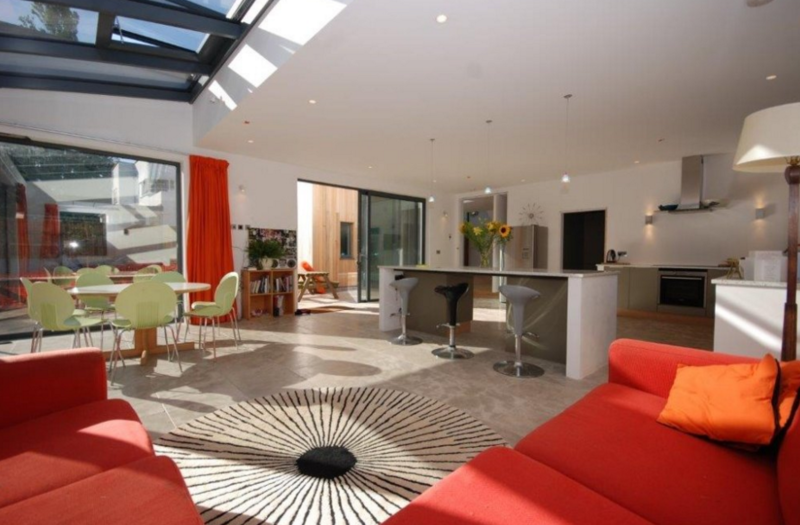 Contemporary, architecturally designed home with hot tub and swimming pool, close to Exeter city centre. 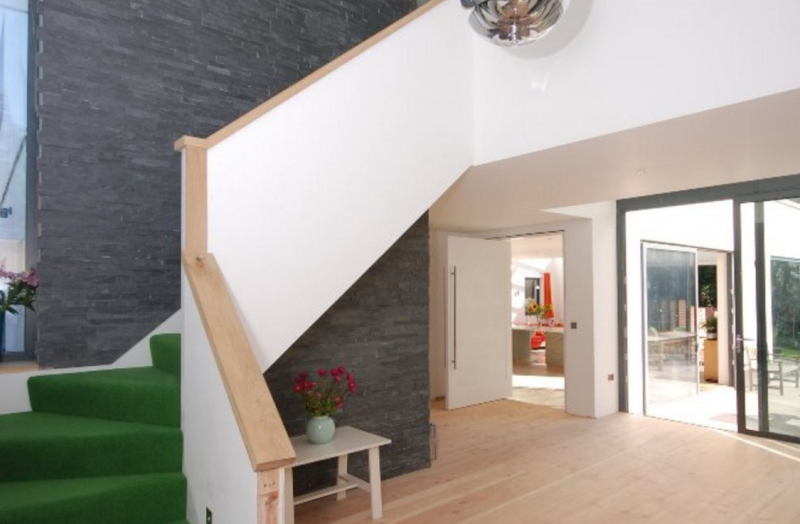 One of the more modern, contemporary homes in our collection, this large, spacious glass and wooden boxed retreat is located in the Heavitree area of Exeter. The property features three shower/bathrooms and five bedrooms on the first floor. Two of the bedrooms have south facing balconies with beautiful views. On the ground floor there is a large, bright hallway and spacious sitting room. The generous kitchen/living room has a range of modern appliances and a luxurious corner sofa with a large dining table. From the kitchen are large sliding glazed doors which takes you out to the south west facing terrace off which is a 4/5 hot tub and outdoor seating area. The delightful south facing garden has a decked area with a 4 metre hexagonal swimming pool. There is a ground floor bathroom and utility room. Located in the Heavitree area of Exeter, the property is either a 20 minute walk into the city centre or a short bus ride. Exeter has three cinemas, a theatre and a large range of fine restaurants and shops.